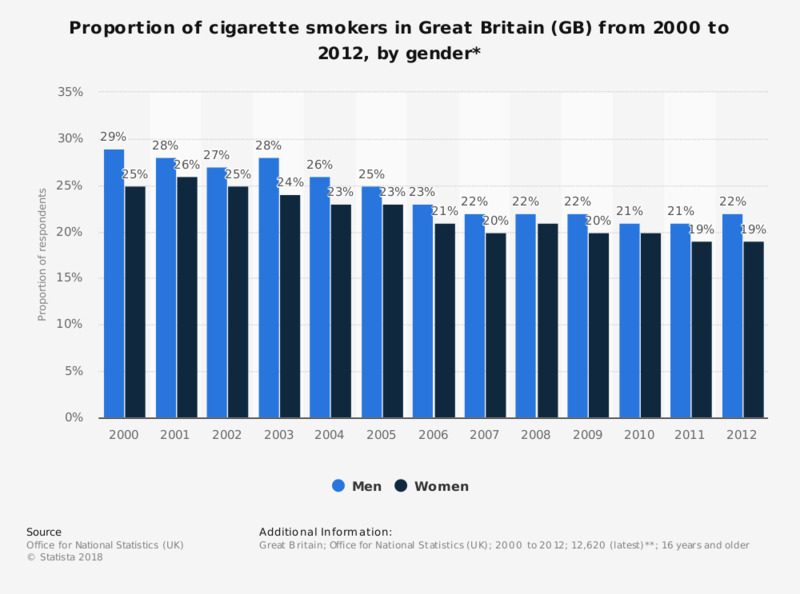 This statistic shows the proportion of cigarette smokers, by gender, in Great Britain from 2000 to 2012 (as a percentage of population). Over this thirteen year period, the amount of male and female smokers decreased by 7 and 6 percent respectively. Over the entire period, the male smoking rate was always higher than that of the females, with the difference ranging from 1 to 4 percent.